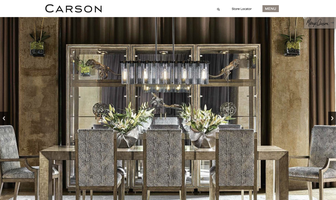 VanNoppen Marketing designed and developed a custom, cutting-edge, easy-to-use, content-rich website platform that properly showcased the extraordinary furniture crafted by furniture manufacturer, EJ Victor, to its discerning customers. The site is loaded with powerful backend tools allowing complete content management, robust engagement opportunities, and integration with social media outlets. Requirements included: supreme delivery; connectivity to local databases; clean and compelling design; engagement opportunities and back-end technology that offered powerful CMS, SEO, Responsiveness, thorough analytics and reliability. EJ Victor has been a continuous customer of VanNoppen Marketing since 2001 and we are proud of this long-term relationship. 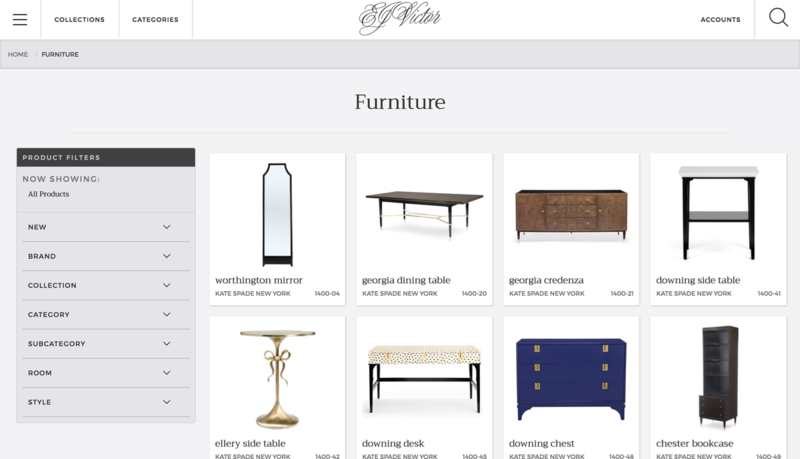 The furniture list page includes a clean and organized design, high-resolution photo optimization, infinity scroll for user ease and custom-coded fixed filter panel for simple exploration of EJ Victor's vast furniture collections. EJ Victor's furniture information is pulled in real time directly from a database managed by the company's staff. 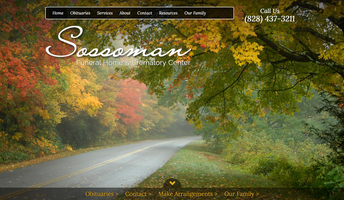 The design presents a clean, organized layout with options to print, download, email, share or tag as a favorite. The powerful and adaptable product database is easily maintained by EJ Victor staff using the admin panel in the back end of the website. 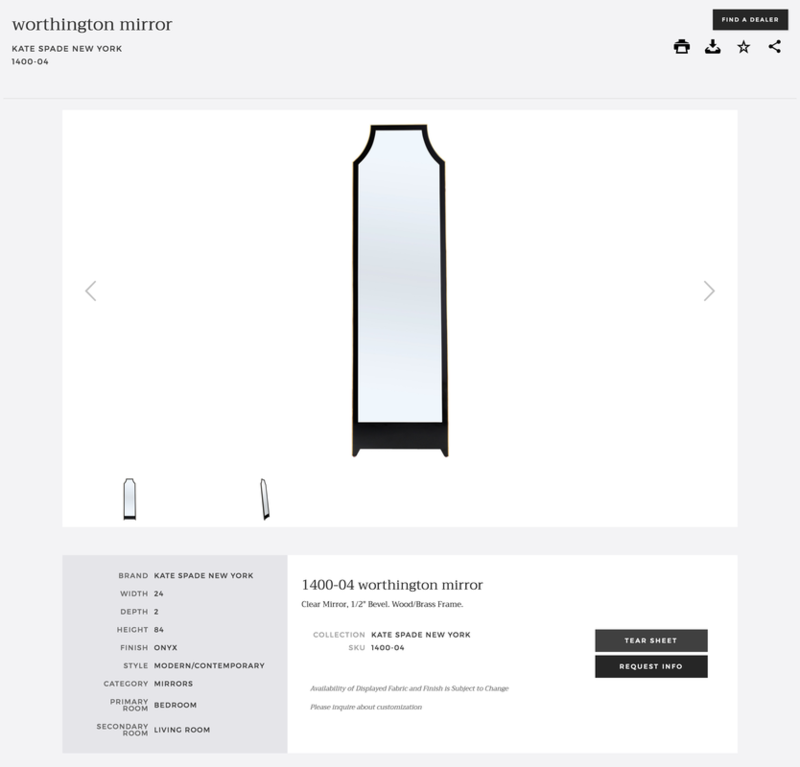 This makes it easy to keep the website presentation current with the company's collections and additions. 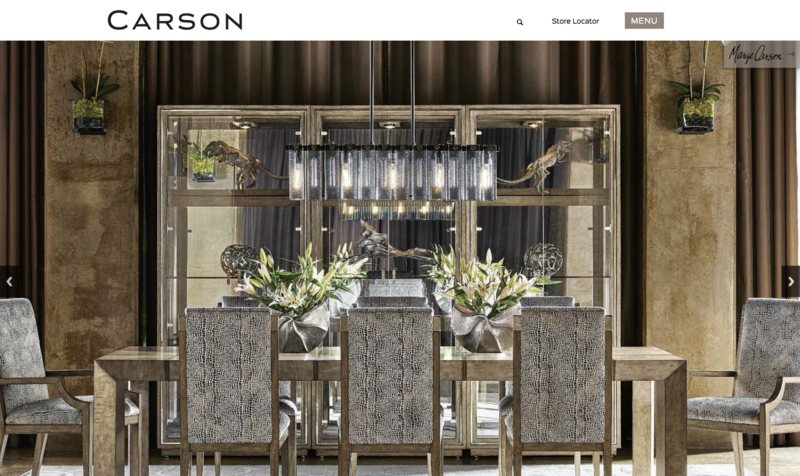 With robust collaboration, VanNoppen Marketing designed, developed and engineered a powerful, visually-compelling, content-rich Web platform that properly reflects Marge Carson's brand and showcases its deep collections of furniture and finishing options. 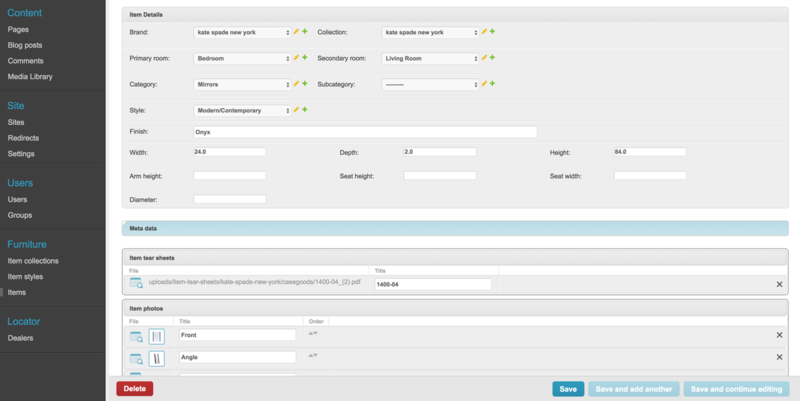 The site is integrated with a thorough product and dealer database that is maintained in the home office. 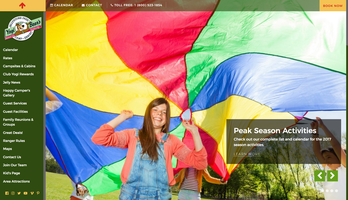 VanNoppen Marketing has designed and developed several websites for the Jellystone Campground franchise. The latest belongs to Yogi Bear’s Jelly Stone Park in Mammoth Cave, KY. It is a technological upgrade from a website we previously created for them. 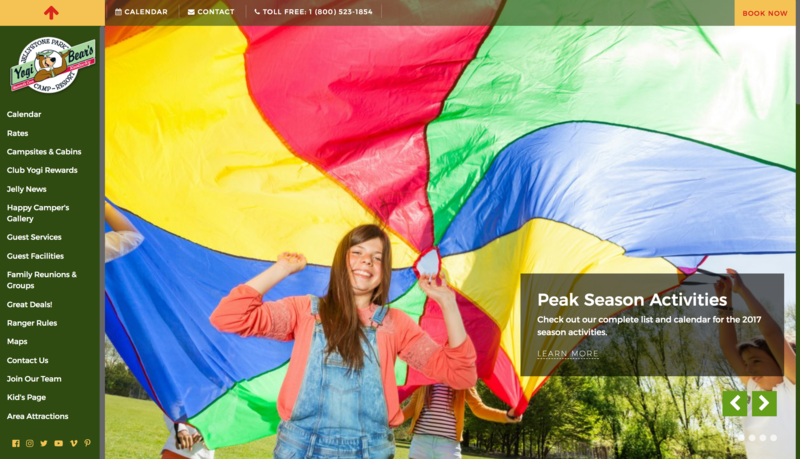 The new website, with real-time connectivity to social media, has emerged as an important information portal within the community that tastefully communicates with families and friends.